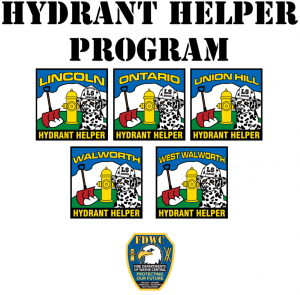 The Fire Departments of Wayne Central are looking for some “helpers”… Hydrant Helpers. New Construction techniques and materials along with the increased use of petrochemicals for carpeting and furniture make home fires grow much faster than they used to. Getting water to a fire in a timely manner is now more important than ever! Every minute counts in our efforts to save life and property. Keeping a Fire Hydrant clear not only shows that you Care about your Community… it also helps your Fire Department. Students at Wayne Central are encouraged to work with an adult (to keep everyone SAFE) to clear a hydrant for the winter season. Fill out an entry form available at your School’s Main office and drop it off in the fire boot. You can also print the form below. Pictures and updates are welcome at any of the Facebook pages for Lincoln, Ontario, Union Hill, Walworth and West Walworth or you can send them to ffbob@rochester.rr.com. Patches and Certificates will be presented to our Hydrant Helpers to recognize their Community Service at the end of the season. 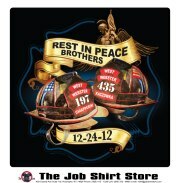 The Union Hill Fire Department is a member of FDWC and proud to support its programs at Wayne Central.